How can I make the drop 1 be above drop 2, but below drop 3? 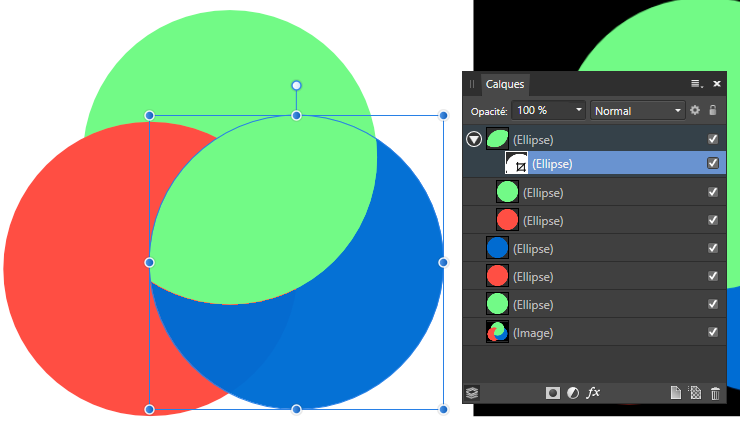 Duplicate the first shape (number 1 in you image) and move its layer over the last one (number 2 in your image) in the Layers panel, then select both and perform a subtract boolean operation. 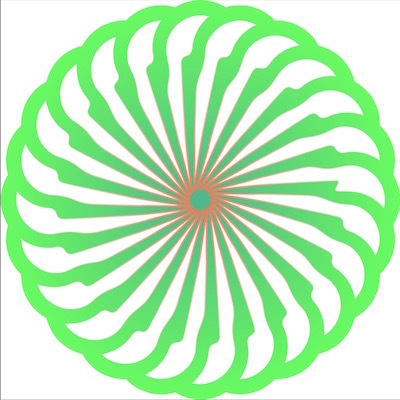 Copy the first shape (number 1) and place it over the last one (number 2 in your image), then select both and perform a subtract boolean operation. Other than performing boolean operations (compounds included) or masks/clipping, there's no specific functionality in Designer to achieve what you want. What are you referring to specifically when you mention universal options? Any feature from another app? Possible with masks but not practical and there are imperfections on the boundaries of the shapes. As i said above, there's no specific functionality/feature to achieve this other than the methods mentioned above. 1. Begin by creating just the first lobe of the design; move its rotation center to the pointed end. 2. Duplicate this lobe & rotate it to the appropriate angle. 3. 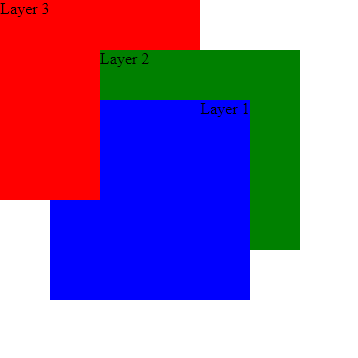 Subtract the rotated duplicate from the first one to get a single lobe with a cutout. 4. Duplicate this lobe & rotate it to the appropriate angle for the second lobe. 5. Power duplicate to add the remaining lobes. 6. (Optional) Group all the lobes to make moving & resizing the design easy. Note 1: To get perfect angular alignment, if the number of lobes is such that snapping to 15° increments using the shift key won't do this (like if there are to be 7, 9, 15, etc. lobes), enter 360/n, where n is the number of lobes, in the R field of the Transform panel in step 2. Don't worry if the angle showing in the R field is rounded after pressing Return or Tab to apply the rotation -- internally, the rotation is accurate to 6 or more significant figures. 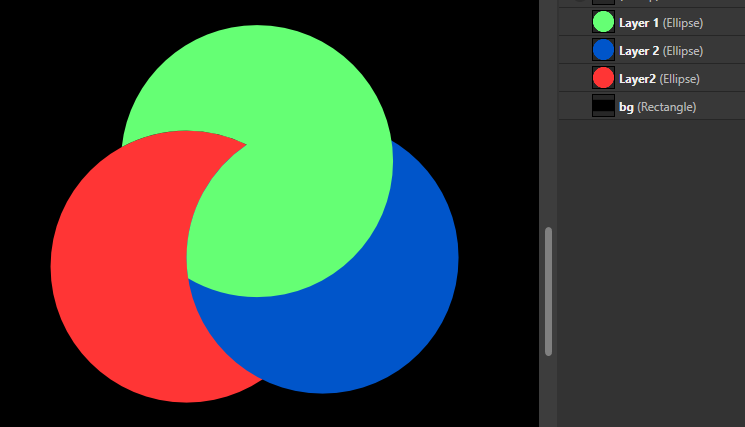 Note 2: If you are using Affinity Designer, consider making the cutout lobe in step 3 a symbol. 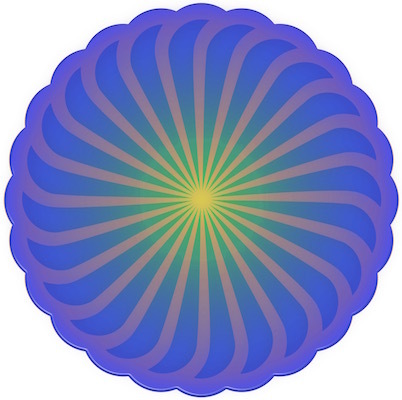 Set the rotation center of the child curve of this symbol to the pointed end before continuing on to step 4. Duplicating a symbol has some advantages if you want to modify the shape of the lobes later, particularly if the lobes are filled. To get an idea of how this works, 12 blade fan.afdesign uses symbols. It is simple. Just add a step into the routine. 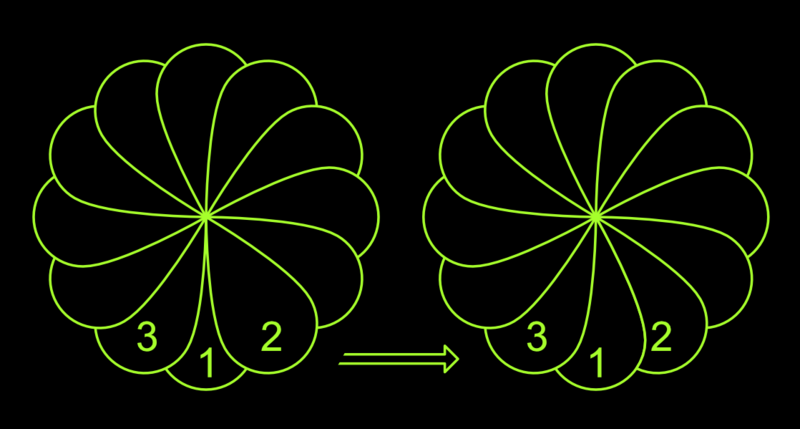 Make the petal shape Duplicate, and rotate whichever way. Subtract the duplicate. 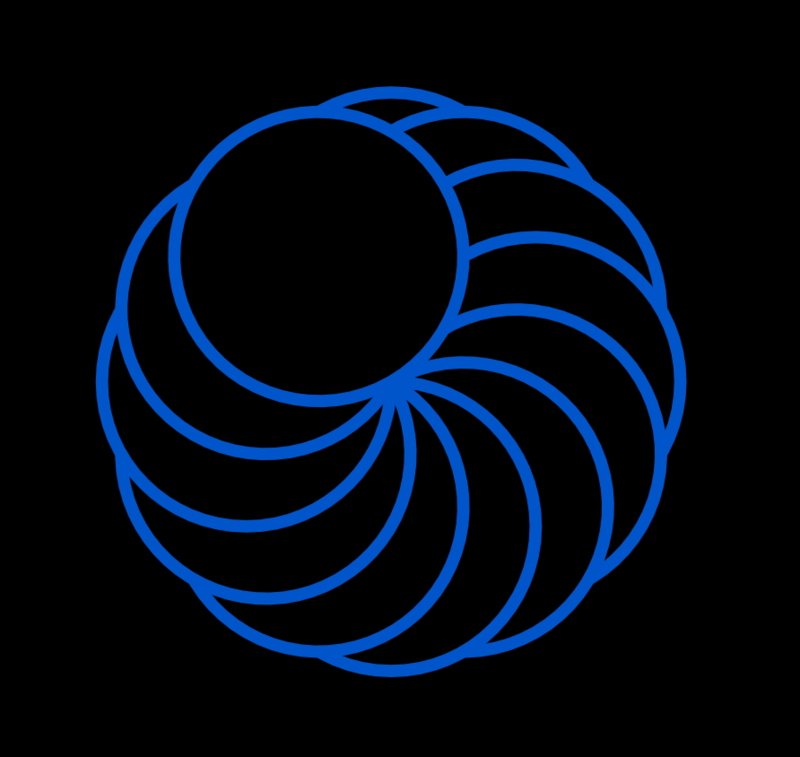 The remaining shape can then be duplicated around a shifted rotation center. Take all the shapes, add them, and manipulate nodes as you like. In the example below, I use a tear shape, w. a pressure modified stroke. I placed it over a cloud shape so I could easily match the "ball" size of the tear to the cloud arc. Then did as described above.